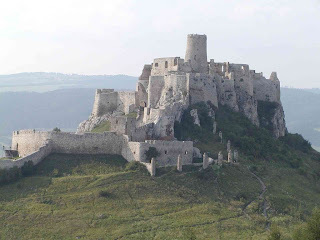 Cachtice Castle, formerly in Transylvania, was made famous because of its resident Elizabeth the Countess of Blood. In previous posts, I had talked a bit about Cachtice Castle, where Elizabeth Bathory "the Countess of Blood" lived, and there are readers who wish for me to expand on it. I couldn’t be happier to explore this topic. There is so much to talk about. Cachtice Castle is located on the top of a hill just about the village of Cachtice. The castle was a wedding present given to Countess Elizabeth Bathory in the 16th century, along with the 17 surrounding villages. Elizabeth moved into Cachtice Castle when she was 14 years old. It was not until 1615, when Elizabeth was about 40 years old, that she started killing young women within the wall of Cachtice. 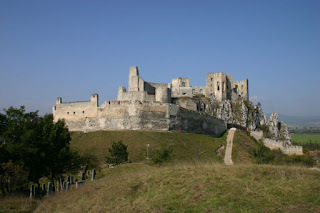 For those of you who have not read my previous posts on travel and Elizabeth Bathory, I will share a bit of the historical person and castle. Elizabeth Bathory was a countess who lived in Cachtice Castle in the late 16th and early 17th centuries. 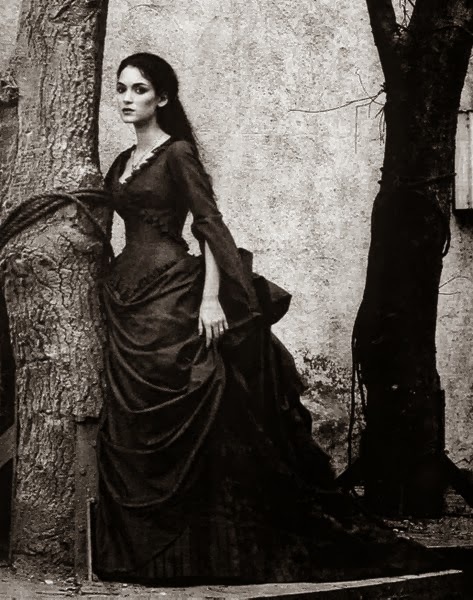 She was also known as the Blood Countess. She believed that if she bathed on the blood of young women she would remain youthful and beautiful. Over an approximately five year period, Elizabeth Bathory apparently killed about 600 young women from the surrounding villages, the numbers are not known exactly since many of the women were from poor farming families who lived around the castle, and were not viewed as important. Once these crimes were discovered, (this was after she began to murder lower- class noblewomen) Elizabeth was found guilty, but since they could not kill a member of the nobility, they walled her up in the castle and left her to die. With all of that in mind, one might surely think that Cachtice Castle must be haunted; so many deaths took place here. Since the late 18th Century, the castle is in ruins. Today people are allowed to go on a hike to the ruins. There are also endangered plants found in the area, but they can’t go in due to the ruins being a historical landmark for the local people. There could be some superstitions connected to the castle and anyone who chooses to walk in there. 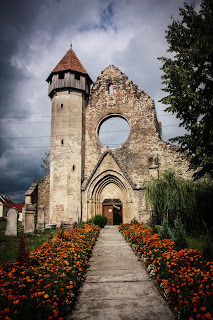 There is also a museum within the village of Cachtice that is dedicated to the castle and relics that were able to be saved after the castle was burned down in 1708. In 1708, the castle was laid siege to and burned. In 1715, they repaired the castle, and after that it was used as a jail. No one has used Cachtice Castle as a residence since 1708, and not many people remember that this castle was used as a jail, as it is most famous for being Elizabeth Bathory's residence. Ironically, it was also her jail. I have read about 10 articles that talk mainly about Elizabeth Bathory and horrible things she did during her life at Cachtice Castle. Most readers want to learn about where Elizabeth Bathory lived during the infamous years of her life, along with the details of the horrible things that she did during those infamous years. One can never forget to mention why Elizabeth Bathory is infamous. It is because she was the world's first known female serial killer.